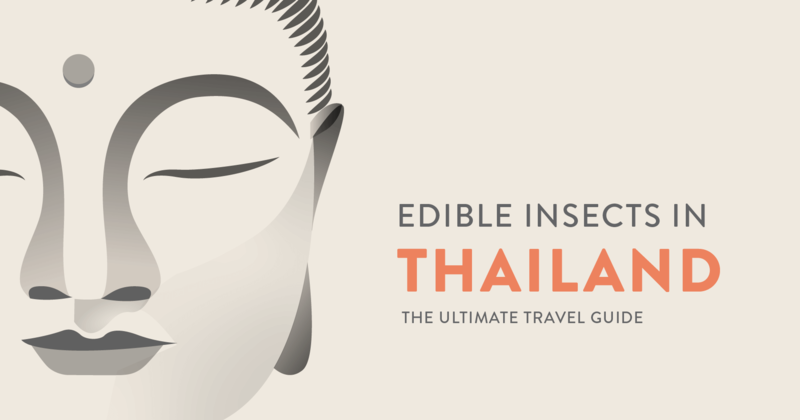 An awesome travel guide for foodies, and a brief history of edible insects (entomophagy) in Thailand’s past, present and future. 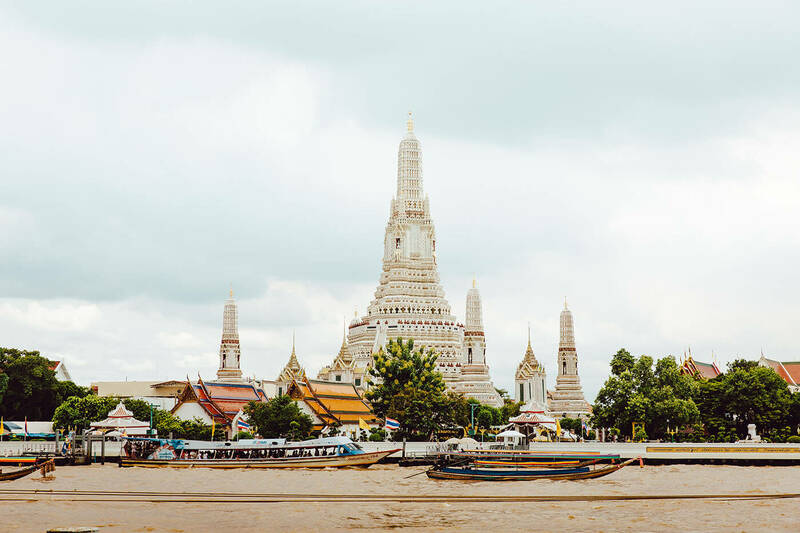 If you ever visit the city of Bangkok in Thailand, you will find no shortage of wonders and curiosities to capture your attention. And of course, the markets...where you can find almost anything you could imagine, and some things that you never have. Tapestries. Clothing. Eels. 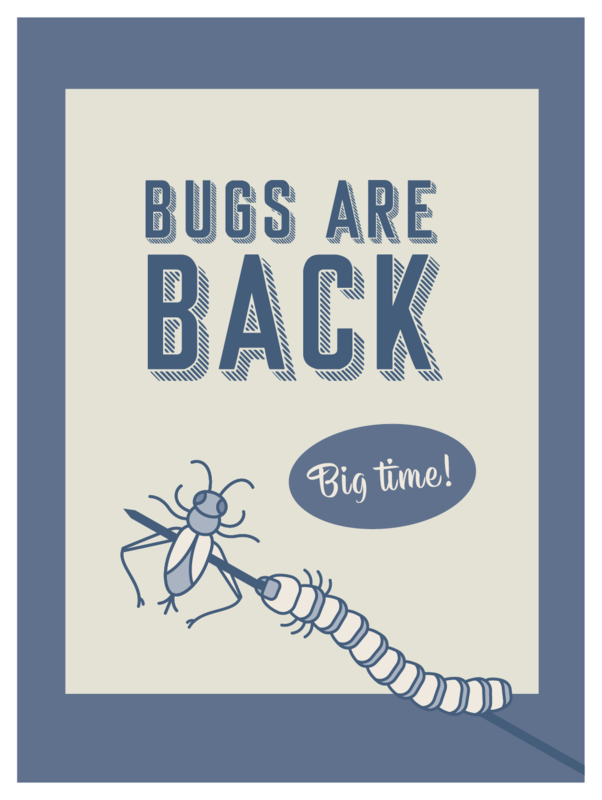 And even...insects? The use of insects as food (also known as entomophagy) has long been common practice in Thailand. So what can we learn from entomophagy practices in Thailand? And where and how can you participate in this indispensable part of Thai culture? 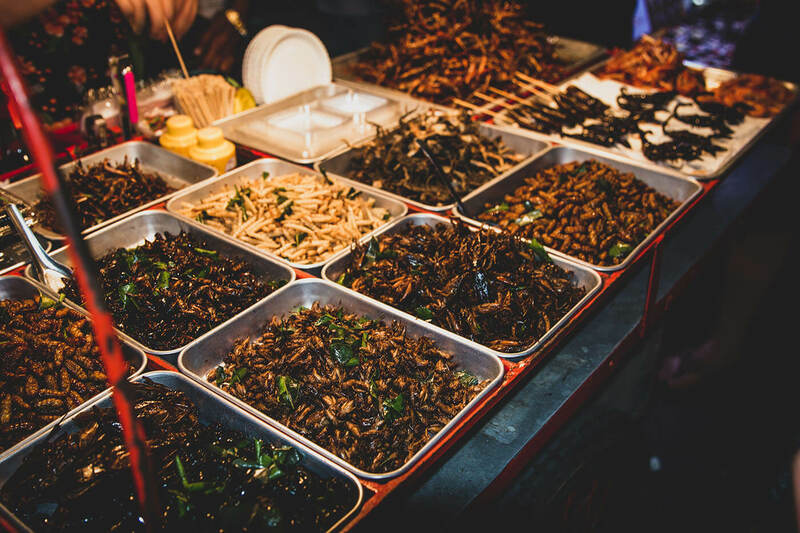 The streets of Bangkok (and most other cities) are crammed with colorful street vendors, making it an ideal setting for your first adventure in entomophagy. Here are a few places to try. 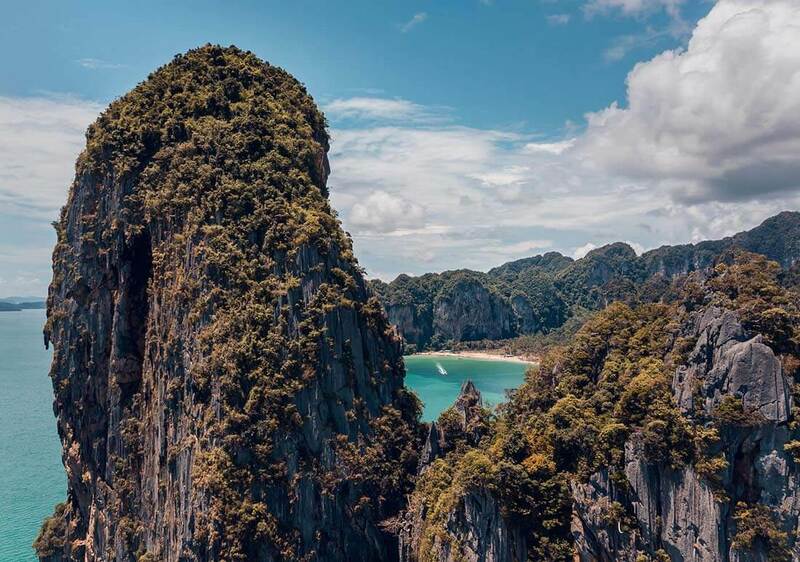 This island offers plenty of cultural experience, including a variety of edible insects. These are available almost everywhere, especially from night markets or the stalls near popular nightlife spots. Whether it’s crunchy red ants, bitter crickets, or scorpions on skewers, almost any variety of edible bug is available here in some form. A bonus about insect eating here in Phuket: it’s relatively inexpensive. 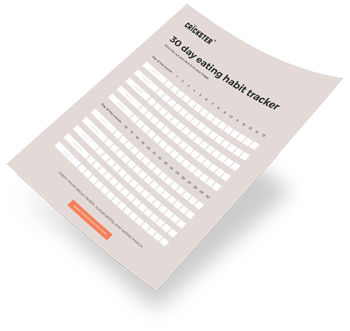 So you can experiment with numerous types and kinds of edible bugs without breaking the bank. 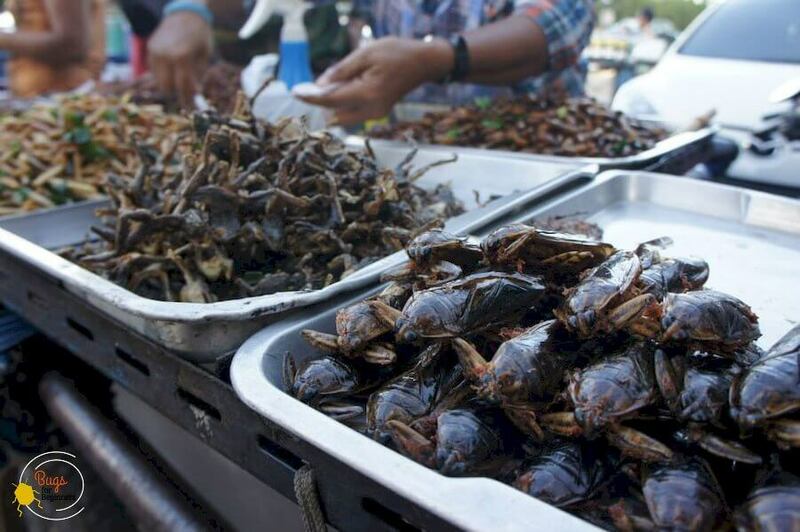 You can find edible insects just about anywhere in Phuket, but for the best quality, check out Saphan Hin Park, where insects are fried to perfection in fresh oil. This is an international gathering place for people from all over the world. East meets West here, and there are tons of new acquaintances to meet and novel food and beverage experiences to engage in. The markets, the nightlife, and the cocktail bars teem with humanity and with adventures. If you crave the comfort of traditional Western food, this is a great place to find it. But it’s also the perfect place for a gastronomical adventure that you’ve never tried before. Scorpions, tarantulas, and the ever-popular fried crickets are all available for your pleasure. Set against the backdrop of one of the poorest neighborhoods in Bangkok, this one gets bonus points for authenticity. The reality is that while insects have become a delicacy in some of the more “touristy” sections of Thailand, most local people eat insects simply because they’re affordable, convenient and well....because it’s what they’ve always done. This market is the perfect place to experience entomophagy in the same way that the natives do. 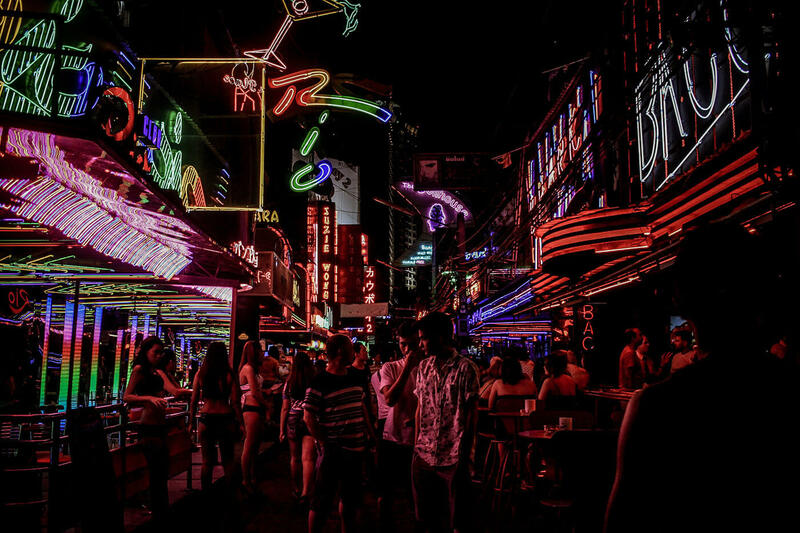 Bangkok’s infamous red-light district is certain to give you an unforgettable experience. Not for the faint of heart, this is the place to take in strip bars, pole-dancing, and risqué concerts and shows. If you’re brave enough to visit this tantalizingly forbidden area, then you are more than brave enough to sample the edible bugs on offer here. The night market is the perfect place to try out some fried ants or some big, juicy palm worms. 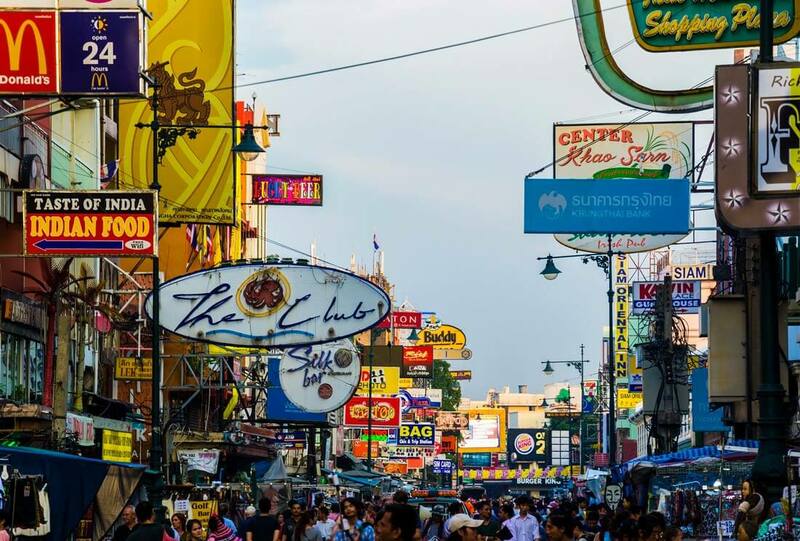 Chatuchak is the world's largest and most diverse weekend market, with over 200,000 visitors every weekend. It's hard to imagine what you CAN'T find there. Edible insect are no exception. Although the massive crowd can be a little intimidating at times, it is definitely worth adding to your bucket list. 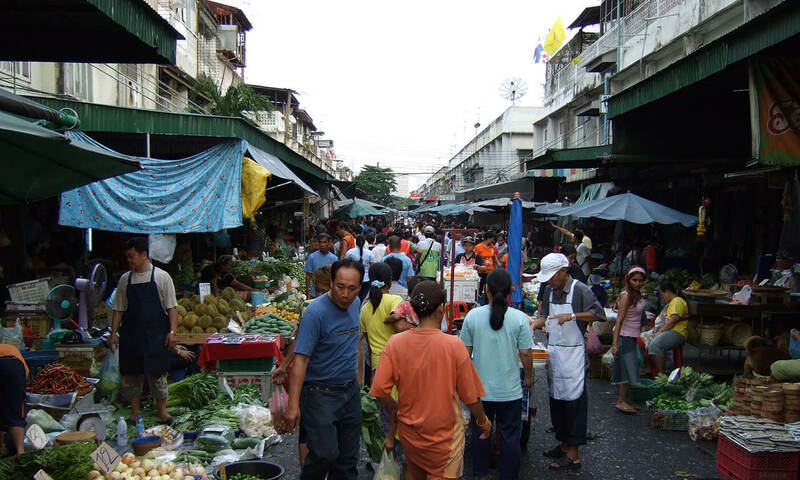 The Chatuchak market has reached a landmark status as a must-visit place for curious travelers. 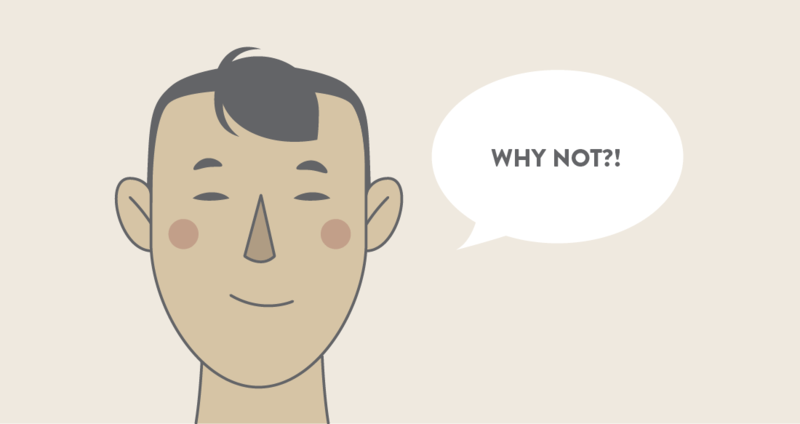 What Bug Should You Try? You can find just about any kind of edible insect here. But here are the best ones to get you started. Probably the most accessible and popular choice out of all the edible bugs, grasshoppers are a good square one for your adventure in entomophagy. Simply pop a deep-fried grasshopper into your mouth. Is it an insect? Or is it a potato chip? Who can tell? It’s salty and crunchy, reminiscent of many tastes you already know and love. Traditionally, these are prepared by being fried up in soy sauce whole. In general, they take on the flavor of whatever they’re seasoned with, but the crunchy texture is all their own. Just prepare yourself mentally for having to pick their legs from out between your teeth. To try eating grasshoppers the way the Thai people do, simply remove their legs and wings and dry roast them in a pan. Crickets in Thailand come in several varieties, all different sizes, but similar in taste and texture. If you have gotten accustomed to grasshoppers, your first attempt at enjoying edible crickets may come as a shock. While they look very much like grasshoppers, their taste is very different and may take some getting used to. They are not as crunchy as grasshoppers, and have a soft, slightly mushy center. For large crickets, you can reduce the shock factor by removing their legs prior to eating them. Crickets are generally prepared with light frying in oil and then, like grasshoppers, they are consumed whole. These thin worms are harvested in the wild from bamboo shoots during the rainy season. Then they are cooked alive. Bamboo worms can be preserved for three years, making this harvest immensely profitable and cost-efficient. 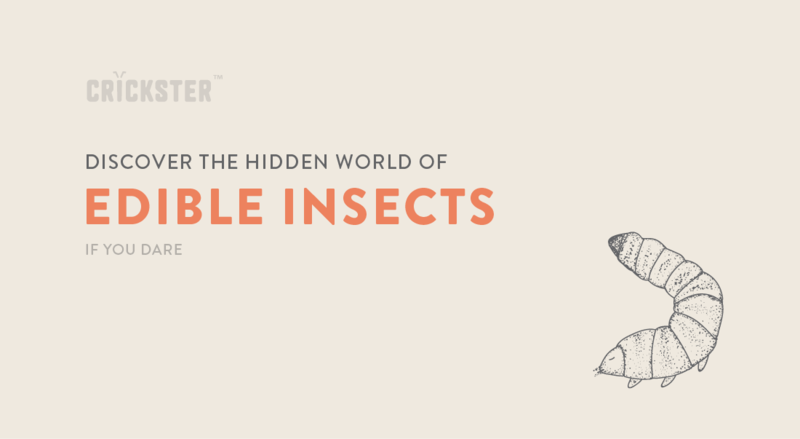 One disadvantage: because they are only harvested in remote, mountainous regions, they are pricier than other kinds of edible insects that you’ll find here. The worms are about 2-3 centimeters long. They have a crunchy exterior and a soft interior. Their taste is neutral, although some have found that they leave a slightly cheesy aftertaste. Bamboo worms are not very popular among tourists; however, they are among the most popular choice of edible bugs among natives. So if you want to try eating what the locals eat...bamboo worms are a great choice. It also means that you can get them from just about any market or street vendor. These insects are huge and can be quite challenging to eat. Think a smaller version of lobster. To eat them, you must pull off its hard outer shell and its head in order to get at the meat inside. Similar to lobster, the meat is juicy. It has a taste that vaguely resembles black licorice. Some have described the smell as being like bubble gum. Giant water bugs are typically prepared by boiling or deep frying them. If you’re not ready to consume a giant water bug whole, its essence is sometimes added to sauces in Thai restaurants. Why Do People In Thailand Eat Insects? In many parts of the world, entomophagy began as a survival mechanism among poor, rural populations. Eventually, it fell out of favor, seen as a sign of poverty. Recently, edible bugs have become trendy; but in most parts of the world, they are still considered an exotic novelty, even though some populations have enjoyed them for centuries. But Thailand is different. Here entomophagy never really went away. It started among the rural population in the northeast and rapidly spread to everyone. While in Western countries, this practice is seen as novel and exotic, this has been a way of life to the Thai people for generations. It began in northeastern regions, where farmers found them an economical and convenient food source. Rice farmers would catch and eat grasshoppers as a way of keeping them from destroying the crop. Some of these farmers did not have enough land to make cattle-raising profitable, and so they turned to the raising of insects for food instead. They soon began selling insects to wealthy entrepreneurs who spread entomophagy to cities like Bangkok and Pattaya. While it may have started as a survival mechanism among poor rural folks, this practice is now widespread throughout Thailand. In fact, everyone from poor farmers to wealthy tourists to the socially elite now enjoy eating insects in various forms. And Thailand has benefited in many ways from the rising popularity of entomophagy. It offers new possibilities for income for some of its poorest citizens. Farmers are able to raise insects with very little resources. They can then sell insects in bulk to restaurants and grocery store chains, as well as street markets. At one popular market in Bangkok, it is estimated that edible insects generate a monthly income of approximately $9150 for the entire market . While entomophagy originated in the northeast regions of Thailand, it’s rapidly become a nationwide practice. And it’s not just confined to the Thai people either: farmers sell to Chinese, Cambodians, and increasingly, to Americans. Thailand leads other countries in the world when it comes to making the farming and eating of insects sustainable. 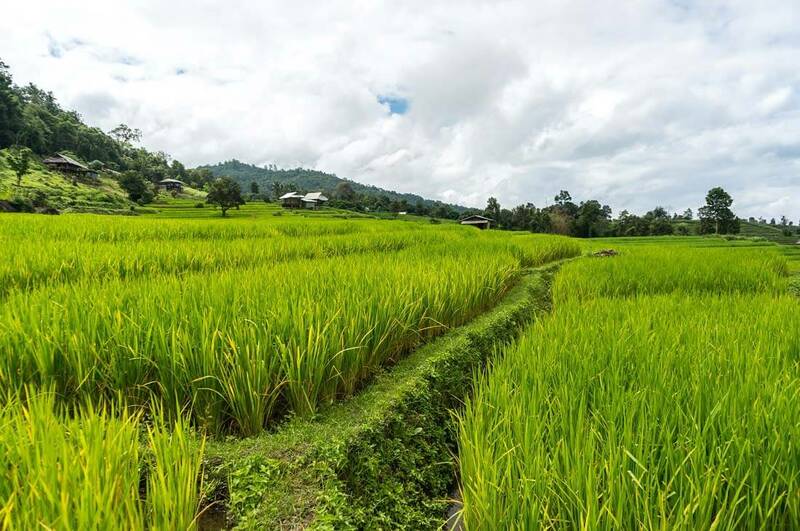 In fact, the United Nations has cited Thailand as an example to other countries in its confident grasp of the future of food . It has become so popular that insects are farmed for a profit, besides being harvested in the wild. It forms an important part not only of Thai culture, but of their economy as well. Farmers get a substantial income by selling edible insects in bulk at markets. 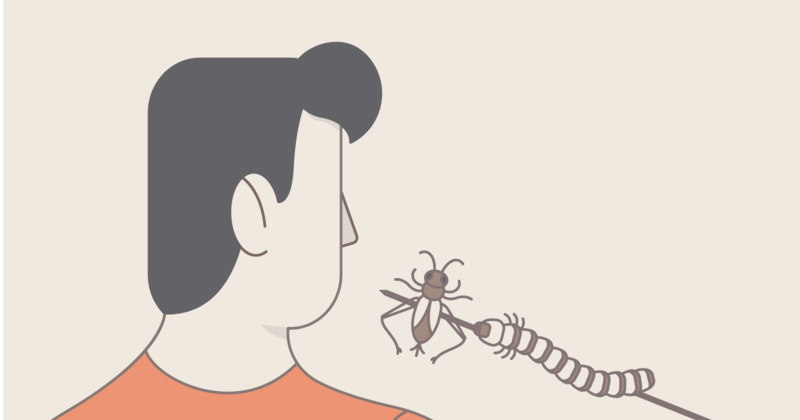 Sometimes entrepreneurs purchase large quantities of insects to distribute them to food supply chains worldwide. This ancient, profitable practice has put Thailand on the cutting edge of the new food frontier. 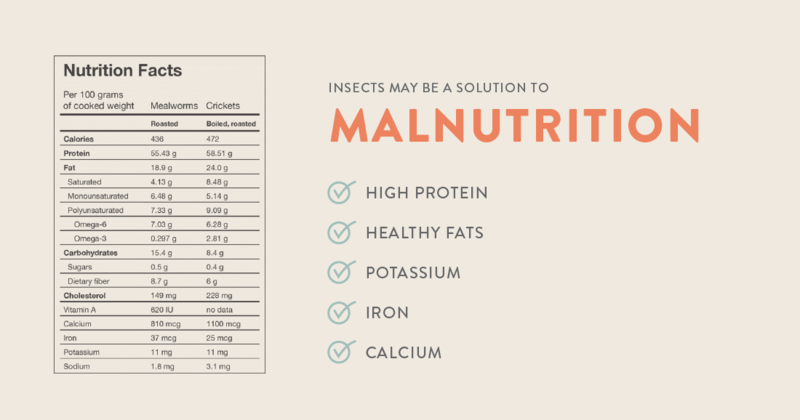 Their effective use of edible insects serves as a model for other countries that are seeking solutions for global malnutrition and sustainable farming. The United Nations Food and Agriculture Organization has predicted that unless production of food doubles in developing countries, there may no longer be enough food for our poorest populations . People living in developing countries already suffer from widespread malnutrition due to an inadequate supply of protein-rich food. But as the people of Thailand have already discovered, edible insects do not require a lot of resources to produce. They need very little land, water, or food, making them a far more sustainable food choice than beef. They also come with a host of benefits to our bodies and our earth. Here are just a few of those benefits. So is Thailand the wave of the future? Only time will tell. In the rest of the world, which hasn’t been enjoying entomophagy for centuries, there are a number of hurdles to overcome. In fact, the question becomes not, “Why do people in Thailand eat insects?” The real question is, why the rest of us don’t. Westerners in particular have to deal with the pervasive cultural perception of insects as dirty and unsanitary. 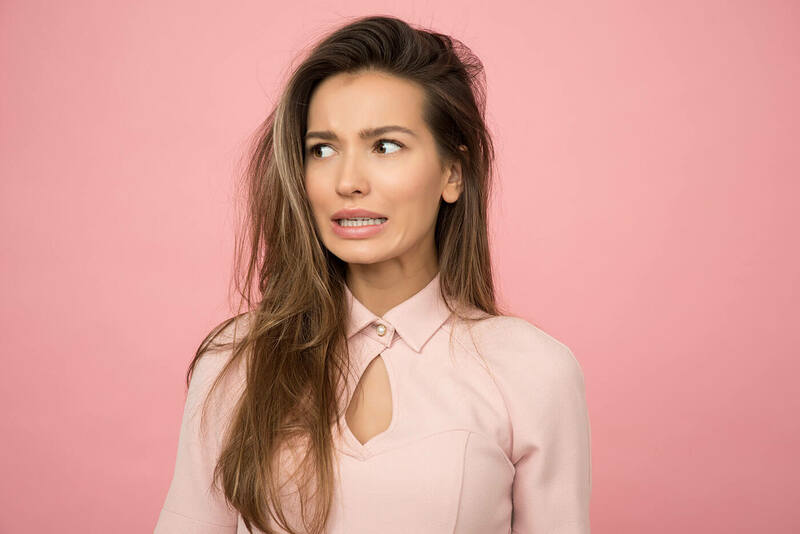 Even with the knowledge that people have eaten bugs for centuries, this psychological barrier can be tough to get past. Who Is Eating Insects in Thailand Now? Like many other parts of the world, Thailand is becoming increasingly Westernized. Many of the traditions that are part of Thailand’s history are slowly fading. A good example of this is with Thailand’s indigenous languages. Thai is the official language of Thailand. You will also hear a lot of Chinese and English. Many are not aware that in the remote mountains, there are still people who speak ancient indigenous languages. But with so few people who speak them, and with Western languages increasingly taking hold, these native languages may soon disappear. And with them goes a big part of Thailand’s history. And entomophagy is in danger of going this way too. It is still mostly centered in the rural northeast. If you go to other parts of Thailand, you will have to search for edible bugs a bit more...but they are still present. They’re even sold in convenience stores like 7-11 and Family Mart. They are often marketed to people who have moved to cities from the northeast and may be missing the tastes of home . Like an ancient language, entomophagy represents a culture that could be perceived as obsolete. As with most trends, however, what was considered old-fashioned eventually comes back in vogue. With global concerns about overpopulation and climate change mounting, entomophagy may be an old idea whose time for resurgence has come. Not only in Thailand, but in the rest of the whole world, too. Ramsey, A. (21 November 2014). Insect Farming Can Buy You a Toyota in Thailand. Retrieved from https://munchies.vice.com/en_us/article/wn7yqb/insect-farming-can-buy-you-a-toyota-in-thailand. Hanboonsong, Y, Jamjanya, T., and Durst, P.B. Six-Legged Livestock: Edible Insect Farming, Collection and Marketing in Thailand. (2013). RAP Publications, Food and Drug Administration of the United Nations, 2013/03. http://www.fao.org/3/i3246e/i3246e00.htm. Global Agriculture Towards 2050. (12-13 October 2009). How to Feed the World 2050, High Level Expert Forum, Retrieved from http://www.fao.org/fileadmin/templates/wsfs/docs/Issues_papers/HLEF2050_Global_Agriculture.pdf. Why Is Eating Insects in Thailand Different? (n.d.) Retrieved from http://heilufood.com/blog/eating-insects-in-thailand.